Happy World Card Making Day! Hope you’re all enjoying a little crafting today. For today’s card I chose to feature Graceful Garden, which has 15% off until Monday. As you know I love my floral sets and I particularly adore the rose images in this set, as soon as I get more watercolour paper I’m going to be colouring that gorgeous big rose. Today I chose to focus on the small rose image and use it more of an accent for the card. The combination of Old Olive, Cherry Cobbler, Very Vanilla and Gold give this card a very luxurious feel and make it perfect to give as an anniversary card or birthday card for that special someone. I’ve added the Gold Metallic edged ribbon behind my circle to soften the card and add a little bit of texture. Inside I’ve repeated the same rose image on the bottom right corner. I really love how this card turned out and think its my favourite so far from this week. 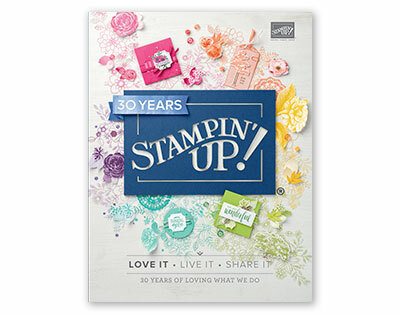 Join me tomorrow for another project using the 15% stamp sets. This week for my Three Card Thursday challenge I chose to use the Graceful Garden stamp set. I really love the large rose stamp in this set, I think its simply beautiful and popped straight out at when I was looking at the catalogue. 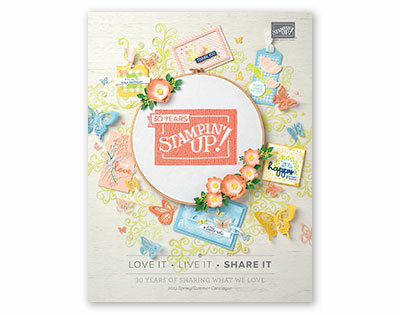 I also love the background stamp and can’t wait to use it on more projects. I choose a colour scheme of Whisper white, Sweet Sugarplum and Old Olive as it matches the Petal Garden DSP stack and also Sweet Sugarplum was the nearest colour to the roses I had at my wedding which were Ocean Song. I added a sheet from the paper stack and the Glitter Enamal dots from the Colour Theory Suite to the inkpads and markers for this challenge. Here’s the first card using the lovely background stamp and the Stampin’ Markers to add two colours to the rose stamps. A little matting for the rose image and I finished the card off with three of the Glitter Enamel dots. For the second card I created a background by randomly stamping the small leaves all over the card. I then use the markers to colour the smaller rose image and stamped this three times. I added a little extra ink round the edges using the Sweet Sugarplum ink pad. I added a strip of paper behind these images just to ground them. For my third and final card today I combined ideas from the first two cards. The leaves in the background were stamped a bit further apart to give a subtler effect and I added a paper layer behind my matted rose image. Here are all three together, which is your favourite? I think mine is the first one as I just love all three of those stamps. I also think this would be the perfect anniversary card for my husband next month, but doubt he’ll remember the colour of my bouquet even though it wasn’t that long ago!